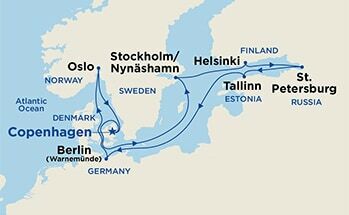 Tour the beautiful & historic Baltic & Scandinavian regions on this 11-night cruise on board 5* Regal Princess including an overnight stay in stunning Saint Petersburg. Departing Copenhagen in Denmark this cruise visits Stockholm and Helsinki, capitals of Sweden and Finland respectively, before reaching stunning St. Petersburg for an overnight stay. Following a call at Tallinn, picturesque capital of Estonia, the cruise reaches Warnemunde in Germany, handy for an excursion to Berlin. The final stop is Oslo, capital of Norway, on your way back to Copenhagen. On arrival in Copenhagen, you will be transferred to the port to board your cruise ship, the 5* Regal Princess. Copenhagen was founded during the 12th century. The city owes much of its charm to the buildings erected by Denmark’s monarchs, and boasts a treasure trove of late-Renaissance and Rococo architecture. Copenhagen deserves its accolade as the Venice of the North. Founded on a series of islands and islets, the city today is laced with graceful canals and boasts some of the most delightful architecture in Northern Europe. See the fabled statue of Hans Christian Andersen’s Little Mermaid, a symbol of the city. Stroll along the old harbor of Nyhavn, lined with cafés, restaurants and 500-year-old gabled houses. Browse the superb shops on the world-famous Stroget or view the Rococo palaces lining Amalienborg Square. Best of all, savor the taste of local delicacies while wandering the paths of Tivoli Gardens, one of Europe’s most celebrated pleasure gardens. The small rocky harbor of Nynashamn is your gateway port to Stockholm, the “Capital of Scandinavia.” The city began life over seven centuries ago as a Viking stronghold built on the island of Gamla Stan. Today, Stockholm covers 14 separate islands and is interwoven with bays, channels and inlets. The city skyline is a sea of copper roofs grown green with patina, towers, spires and graceful cupolas stand sentinel over the historic Old Town (Gamla Stan). A city of nearly a million people, Stockholm is one of the world’s most beautiful, clean, and orderly metropolises. With a history stretching over seven centuries, Stockholm is not just a beautiful city but also Sweden’s center of art and culture. Note: Your ship will anchor in Nynashamn and use launches to transport all passengers ashore. Perhaps their country’s harsh climate encouraged the Finns’ love and respect for design and the arts. Whatever the cause, there’s no denying that Helsinki is one of the most vibrant and beautiful cities in Scandinavia. Hailed as the “Daughter of the Baltic,” Finland’s capital is a city of graceful neoclassical buildings, striking modern architecture and spacious boulevards dotted with squares and parks. In the past century, Finland has nurtured some of the major creative talents of Western culture, from the composer Sibelius to architects Eliel & Eero Saarinen and Alvar Aalto. The center of Finnish commerce and culture, Helsinki is home to some 616.000 people. Much of the city’s neoclassical architecture dates from the period of Tsarist rule, which began in 1809 after political control of Finland passed from Sweden to Russia, Finland gained its independence in 1917. St. Petersburg has provided a historic stage since the day Peter the Great ordained its construction on the banks of the Neva. In its relatively short history – the city is younger than New York – St. Petersburg has witnessed the rise and fall of Imperial Russia, three shattering revolutions, and civil war. The city survived a long and tragic siege during World War II – indeed St. Petersburg became a symbol of Russian resistance to Nazi invasion. Russia’s “Window on the West,” St. Petersburg remains one of the world’s most beautiful metropolises. Perched on the banks of the Neva, the city is crisscrossed by canals. Two great architects helped bring Peter the Great’s vision of St. Petersburg to life: Rastrelli and Carlo Rossi. The rich architecture that resulted features a mixture of styles from ornate Russian Baroque churches to neo-classical palaces. St. Petersburg has also been the cultural soul of Russia, a repository of priceless art and a home to poets, musicians and composers ranging from Pushkin to Shostakovich. Peter the Great instilled his near-mania for architecture and building in his successors, making the then capital of Imperial Russia one of the architectural treasures of the world. Berlin is a worthy rival to London or Paris in terms of history, art and culture. The city’s highlights include the restored Reichstag Building with its magnificent glass dome, the Brandenburg Gate and the stunning Museum Island. Explore the old Cold War hot spots and view the Brandenburg Gate, restored to its original magnificence. Or, stroll along the Kurfurstendamm and take coffee in a local café. Warnemünde is a seaside resort near the harbor entrance to Rostock, one of the city-states that formed the medieval Hanseatic League. Originally a fishing village before it became a spa and resort in the 19th century. Warnemünde is also your gateway to Mecklenburg and the German countryside. Forest-clad slopes plummet to an island-studded fjord. Welcome to Oslo, Scandinavia’s oldest capital city. The commercial center of Norway, Oslo has been a major trading port for over a millennium. Its harbor is crowded with shipping that ranges from cruise ships to workaday shrimp boats. Though a relatively modest city in size – some 550,000 Norwegians call it home – Oslo is one of the largest capital cities in the world in terms of area. The hills and lakes of its outlying countryside are a paradise for lovers of winter sports. And the city itself boasts a sophisticated, yet cozy charm, with a blend of 19th- and 20th-century buildings, many decorated with woodcarvings and bright frescoes, and wide avenues dotted with public squares and parks. Oslo is the least populous capital in Scandinavia. The city offers excellent theater, great cafés and quality shopping. Following your departure from the Regal, you will be transferred to the airport to catch your flight home to Dublin. Enjoy sweeping views from one of more than 1,400 balconies on Regal Princess or stroll on the SeaWalk, a glass-floor walkway extending 28 feet beyond the edge of the ship! From the tranquil Sanctuary, a retreat reserved for adults, to the dazzling Princess WaterColor Fantasy light and water show and more, you’ll find diversions for every mood. From the moment you step aboard, we want you to feel welcomed and right at home. And with attentive service from a friendly staff that knows what hospitality means, you’ll find your Princess ship truly is your home away from home. Dining: Indulge your appetite whenever you wish on board Princess. Every hour, our chefs are busy baking, grilling and sautéing great-tasting fare from scratch. Princess offers unparalleled inclusive dining options throughout the ship with a wide range of culinary delights to suit any palate, from endless buffet choice to gourmet pizza, frosty treats, decadent desserts and much more. Dining on board a Princess cruise ship is a joyful celebration and our specialty restaurants always deliver an extraordinary experience. They are among the best at sea – or anywhere. We serve dishes made with the freshest ingredients, and our menus reflect regional flavors from around the world. You’ll find our specialty restaurants are the perfect place to celebrate any occasion. Activities: On every Princess ship, you’ll find so many ways to play, day or night. Explore The Shops of Princess, celebrate cultures at our Festivals of the World or learn a new talent — our onboard activities will keep you engaged every moment of your cruise vacation. Entertainment: Original musicals, dazzling magic shows, feature films, top comedians and nightclubs that get your feet movin’ and groovin’. There’s something happening around every corner; luckily, you have a whole cruise of days and nights to experience it all. Be inspired to see and do more than ever. 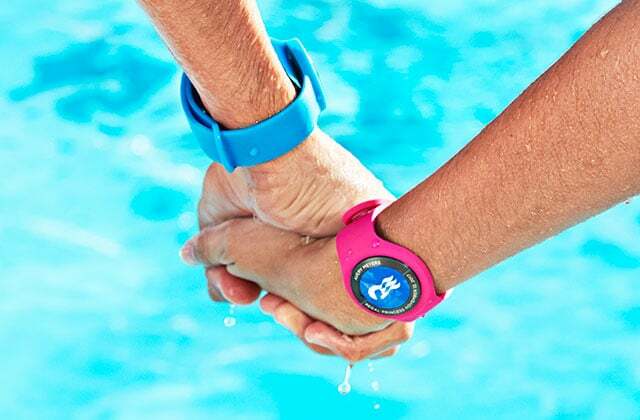 With Ocean Medallion, experience a truly personalized and seamless vacation. Available exclusively on Princess Cruises so you can dive into more of what you love. More departure dates available throughout the summer.